Remote control E offers the convenience of immediate shutter release and a three-second timer, as well as the advantage of zoom control. 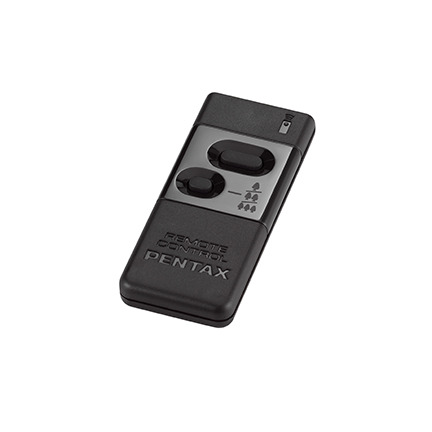 The Pentax Remote Control E allows for wireless shutter release control via infrared signal. The Remote Control E has a shutter release button and a zoom button. Select either instant release, or release with a 3 second delay, to give time to put away the remote so it does not appear in the final picture.